Some 41%of the poulation suffer from back problems at some time in their lives. 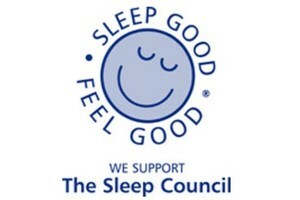 Having a supportive and comfortable mattress is essential for a good night’s sleep. Double orthopaedic mattresses have been designed with features aimed at supporting and softly surrounding the body to ensure that aches and pains are reduced during sleep hours. Offering targeted support for the back and joints, an ortho support 4' 6" mattress is particularly good for people who frequently suffer from back or neck pain as its special pressure-relieving properties provide extra support to where it is needed most. The Respa Ortholite 4' 6" Mattress is part of the Respa Essentials Collection. This non-turn mattress features Respatech Spring Technology for long lasting support and the highest level of comfort and quality you can expect from Respa. Generally available with a firmer rating there are many different types of ortho mattresses to choose from. Open spring orthopaedic mattresses models come with density and gauge ratings, and tend to be less expensive. The Natural Sleep Hibernate 4' 6" Mattress benefits from a sprung core to improve lumbar support and uniformity and a generous layer of quality memory foam to help relieve pressure points. This affordable memory foam mattress is Chiropractor Approved, hypoallergenic and comes with a firmer feel. Pocket sprung models are of a higher quality with their firmness dependenat on the number of springs they incorporate. Providing firm support and similar pressure relieving qualities to pocket springs are memory foam mattresses with ortho support. An increasingly popular choice, these mattresses offer firmness with cushion comforting elasticity to prevent pressure point build-up, responding naturally to the body’s weight. The King Koil Ultimate Posture 2000 4' 6" Mattress combines 2000 pocket springs with natural wool fillings and a deep quilted mattress top for sumptuous luxury. With a Tri-Chiro™ system of centre third reinforcement combined, this mattress provides advanced back care for those that require additional support. Thinking of buying a new double orthopaedic mattress? Look no further than Dalzell's of Markethill. With over 500 mattresses in stock, you won't have to wait long to enjoy your new 4' 6" orthopaedic mattress. What's more, we'll provide Free Pillows, Free Delivery and Free Recycling of your old bed throughout Northern Ireland and Counties Dublin, Louth & Monaghan and remove & Dispose of Packaging, placing your new mattress in a room of your choice for added peace of mind. Delivery is available at competitive rates throughout the rest of Ireland. We can also offer additional discounts for Multibuy purchases and with our Price Promise, we know you won't be disappointed. Call, Email or Visit Us In-store today for a great deal.